The habitual holding pattern makes up the shape in which you occupy space and move with your body. It is typically yours, and determines your particular way of behaving. You created it in order to adapt to the initial conditions of your life. 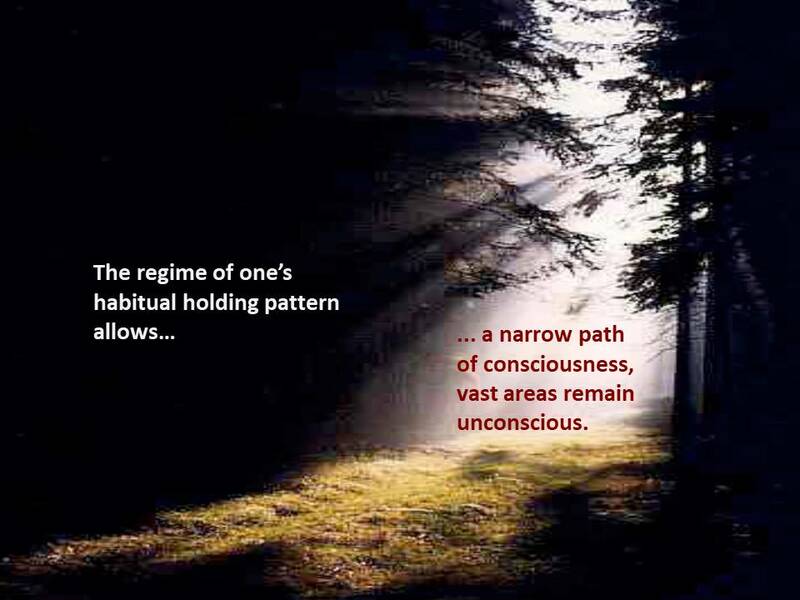 In order to gain a margin of freedom from old habits, it is essential to know the pattern both on the sensory and cognitive level. Habitual tension tends to restrict your freedom of movement, your ability to respond to the requirements of life, your freedom of expression; it keeps you anchored in the past, in continual reaction to unresolved childhood issues; it causes pain, both physical and emotional; it is at the root of depression, anxiety and numerous chronical and degenerative ailments. Private DFA sessions help you to recognize your habitual holding pattern, both on the sensory and cognitive level. Like this you can learn to perceive the shape in which you tend to hold yourself and move in relationship with your environment. The coordinates of the gravitational field of Earth offer an objective frame of reference. As you are becoming aware of the relationship between your body and your environment, in which you hold yourself by means of the habitual tension of the pattern, your discover ways to move more freely, to calm your anxiety, to come out of depression and enjoy life; pain diminishes and sometimes even disappears altogether. You learn to delay reactive behaviors and develop ways to respond to what is really going on in the present moment. You can recover your health and protect it. You speak your heart and know how to be silent when it is better to not say anything. Your creativity allows you to find solutions that before used to elude you.